Guess who's back? The Damn Squirrel™, that's who. She's been running amok in our backyard since we lost Boogie the Giant Schnauzer, and now it appears that The Damn Squirrel™ Yard War II has begun. 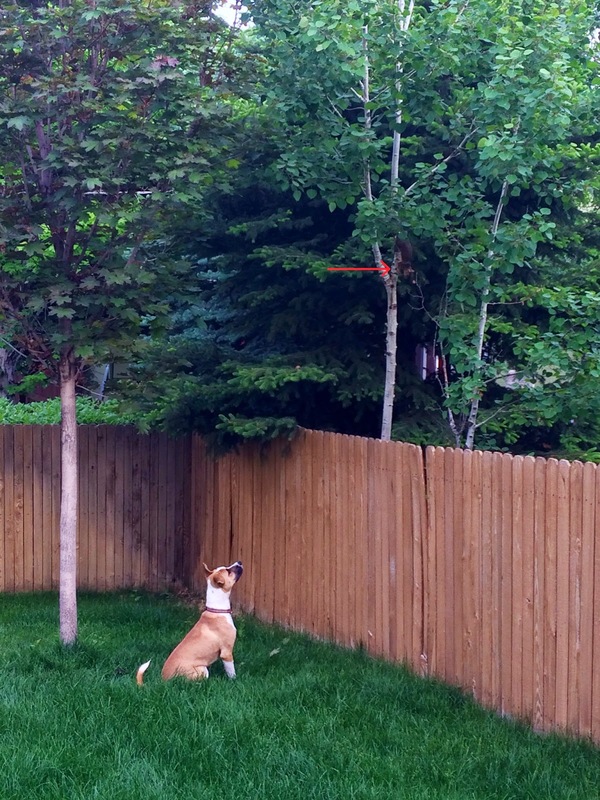 Because Jackson has no intention of allowing those impudent squirrels trespass on her territory. She's taunting me. But I shall get her...someday.